Join us and become a member or renew your membership now. Has been observed by an Expert Color Designer or an Educator/Color Designer (other than sponsor) demonstrating color analysis skills. Alternatively, applicant must submit a portfolio of accomplishments for approval. You can be listed on the CDI website — a great way for clients to find you and to show your commitment to professionalism. You can join our Facebook group, CDI Connect. It’s a place to communicate with fellow color designers, ask questions, and share successes. You receive our exclusive members-only newsletter, CDI Spectrums, featuring articles by CDI members and other experts who will expand your knowledge of color analysis. 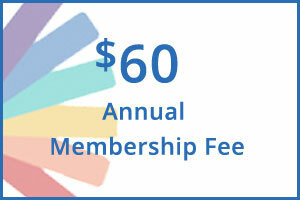 Prefer to print and mail in your membership forms? Download them here.